It’s hard to get a good feel for if the Red Sox bullpen, outside of Craig Kimbrel, is good or not. Matt Barnes has been reliable at home (1.44 FIP, 0.90 WHIP, 33.9 strikeout rate in 29 innings pitched) and anything but on the road (4.69 FIP, 1.37 WHIP, 21.7 strikeout rate in 27 innings pitched). Joe Kelly throws 102 miles an hour and can’t strike anyone out. Robbie Scott has a home run problem (19.4 HR/FB rate – worst of any Red Sox reliever) and Addison Reed’s tenure in a Red Sox uniform has gone about as poorly as you could have imagined. Fernando Abad and Heath Hembree are middle relief guys. Carson Smith is an intriguing late-season addition, but by no means a guaranteed plus. As a whole, it’s a clearly flawed group. They’re not necessarily bad – still ranking in the top-1o for FIP, ERA, K/9, among others – but they’re not as dependable as we’d like, either. Matt Barnes said he thinks Brandon Workman might be better now than he was pre-Tommy John. 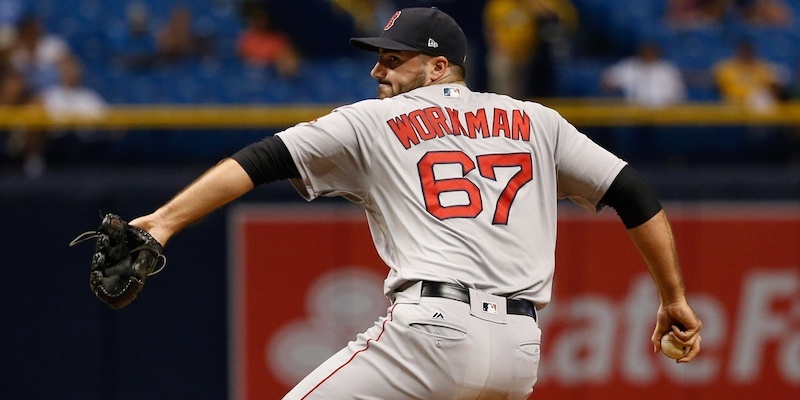 Basically, Workman has been at least the second-best relief pitcher over the last month. 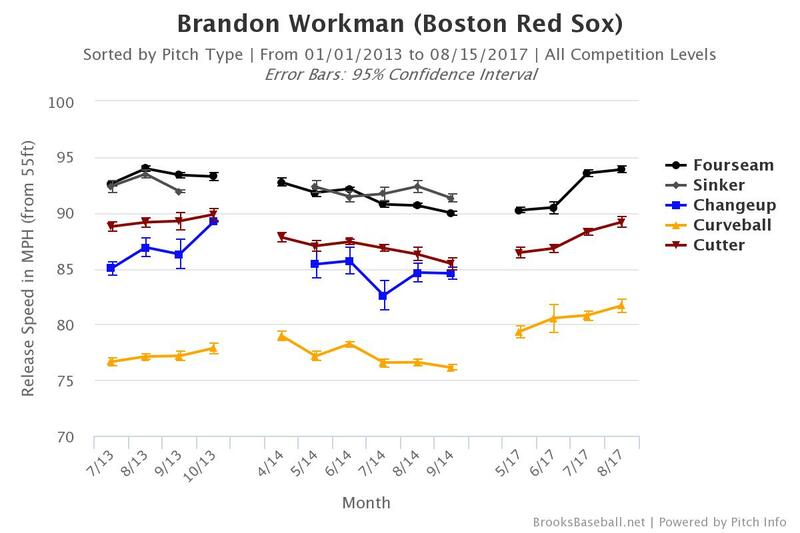 Given Kimbrel’s (relative) shakiness over that same period of time, a convincing argument could be made that Workman’s been their best option since he returned. A healthy Workman that’s pitching this well deserves more chances to prove himself in high-leverage situations. He was a successful set-up guy in the World Series before health derailed his career – now that he’s seemingly back on track, it’s time to give him the eighth inning and see what he does with it. Agree totally with your article.